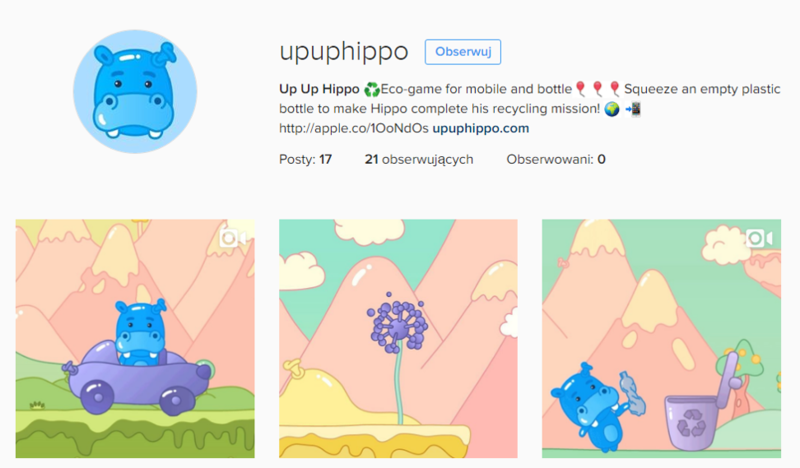 Up Up Hippo is a non-commercial mobile game and an educational tool in the battle for clean and green Earth. All you need to play the game is a mobile device and… an empty plastic bottle. By squeezing the air out of the bottle the player controls the character of the game. Simple? Seemingly, yes. But on the other hand, trying to change the routinized habits of adults is a far greater challenge. 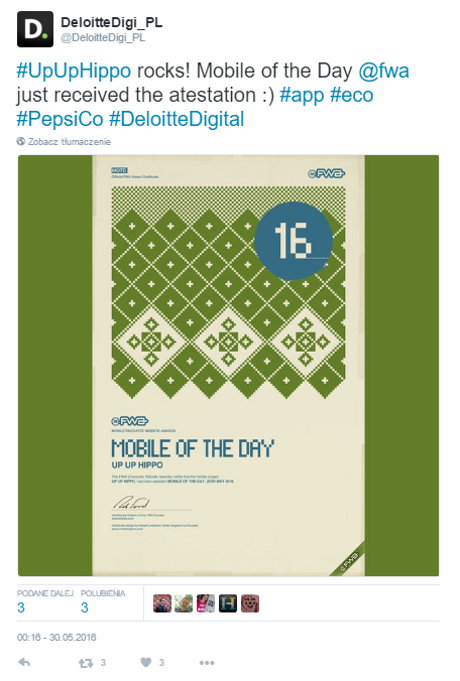 Find out how PepsiCo Poland together with Deloitte Digital managed to do it. Can the world be saved by one plastic bottle? Not really, but one bottle can give rise to an everyday fight against garbage overflow around us. Uncrushed plastic bottles increase garbage volume by 80%, which results in the need for more frequent garbage removal, as garbage trucks transport air instead of waste. Despite numerous social campaigns, it is still extremely difficult to change the habits of adults. 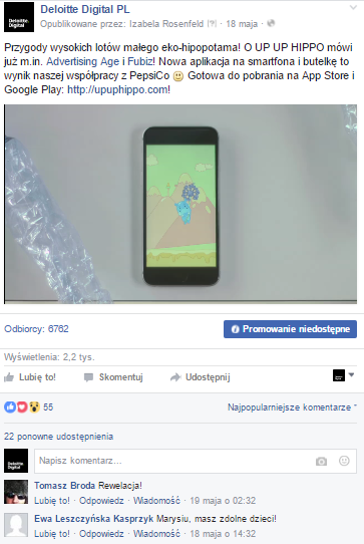 That is why PepsiCo Poland, along with its affiliate Deloitte Digital which was responsible for developing the game, hopes that the Hippo challenge will be taken up by both children and parents. 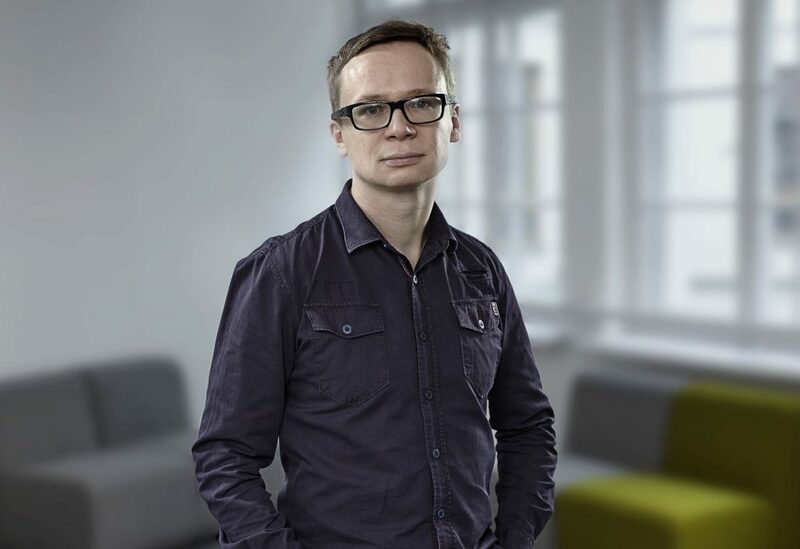 Mateusz Książek, Creative Director at Deloitte Digital Poland: “Another great challenge was to define the author of the message. Social campaigns implemented by foundations or public benefit organizations usually get a good press. Journalists are always willing to write about these types of activities. Where the author is a corporation, a suspicion always arises that somehow someone is trying to sell something. In such cases journalists tend to be mistrustful. Finally, there’s the subject of crushing bottles before throwing them out. Supposedly everyone knows that you should do it, so this problem may seem trivial, but just take a walk around Warsaw city center to see that garbage cans are overflown with unsqueezed plastic bottles. Ecological issues are trendy, but getting rid of bad habits—well, not so much. Hence my reflection after we finished this project that we all speak openly about ecology mainly on 21 March and around the international Earth Day, but beyond these dates—using the word “indifferent” to describe people’s attitudes would probably be too harsh, but we may definitely observe less interest in these issues and activities related to the sustainable development of our planet. – by focusing the entire communication about the issue and the app on a themed Brand Journal. – by using this platform to send press releases to Polish and foreign media. Plus, we used local and global communication channels of both PepsiCo and Deloitte Digital. Magda Gronert: Transferring our communication to Prowly has definitely improved the work of the PR team: in a single place, we could gather everything that was necessary at the stage of preparing to go ahead with our communication on the project, and use it easily at later stages. The option for SEM/SEO available in Prowly 1.0, offered with the website containing press releases (today’s Story Creator), was surely helpful in supporting our promotional activities. 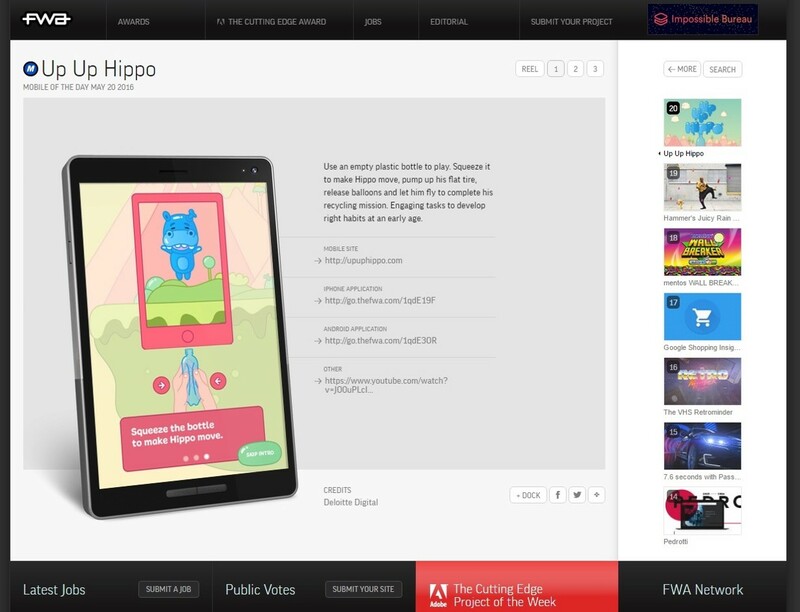 We also used Prowly’s thematic streams for publishing our press releases. Communication concerning the project was consistent in all channels, and everyone could freely access any news on the activities through the agency’s Brand Journal. 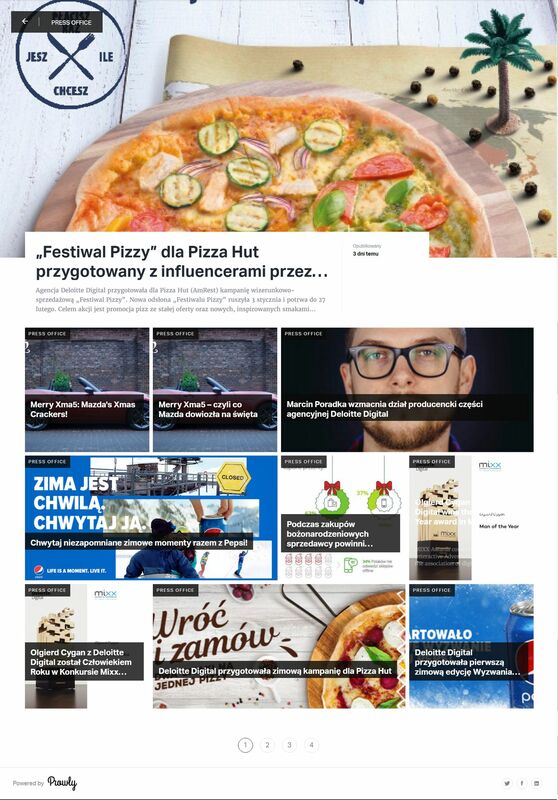 Apart from creating quite a lot of attention in Polish media, we also managed to get the major industry titles—such as Ad Week, AdNews, AdAge, Fubiz and Creativity—enthusiastic about our app. We were also invited by Łódź Design Festival to present the app in a special design zone for kids. • Publications reach (due to press releases) in Poland: 50,500; in international media: it is difficult to estimate, AdAge states that each month it gets 1,6 million active users who come across content published by them both via AdAge and Creativity channels, and an update about the app posted on FUBIZ fanpage was viewed by over 32,000 users. • Visitors of Łódź Design Festival who came by the Up Up Hippo stand: (as estimated by the organizers) 45,000 visitors in 10 days. • Application downloads: in total, close to 12,000 downloads for both Android and iOS. Are Press Releases Still Relevant in 2019? Or Are They Dead? Here’s Why They Still Matter.